As working authors, both of us know the increasing importance of a strong author platform and creative marketing plan. When we were publishing executives, we sat in lengthy acquisitions meetings and debated the merits of proposal submissions. Even then, questions arose with nearly every proposal about the author and the marketability of the book. Why is he/she an expert on this subject? Is the author going to be able to sell books? Does he/she have any public speaking experience? How are we going to get the word out about this title? The questions, like the meetings, went on longer than they should. But they were valid and they still are. In today’s volatile, evolving marketplace, it’s critical that you know how to sell yourself and your book—both to the publisher and to the end reader. 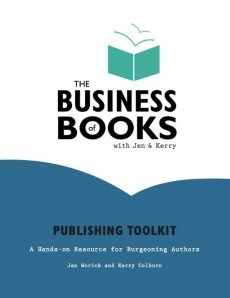 In our webinar, Sell Your Book—And Yourself!, we help you build your author bio from the ground up, taking into account the obvious and unexpected details of your professional and personal life. We share our secrets on how to build a compelling and robust platform, starting immediately. And we open your mind to brainstorming all the ways that you can market, publicize, and promote your book, no matter its genre. Register now for this $79 webinar and start strengthening your publishing position, right this minute. After reading this article, I must say that you have included a lot of rewarding information. I believe that creating a marketing plan is integral to the progression and success of a business. Years ago, when I created my business, I didn’t have a clue on how to create or implement a marketing plan. So I did a little research for an online marketing planning tool that will guide me every step of the way. And thankfully, I came across a great online planning tool called PlanAnything. It is an online planning tool that guides you through every stage of a marketing plan, whilst providing you with guidance information, Examples and other online resources that can help you. It made my marketing planning process ten times easier to complete and massively reduced the time it took to complete. I couldn’t recommend it anymore, visit http://www.plananything.com and check it out for yourself, I’m sure you won’t be disappointed.